The mission of Magnitude.io is to improve the learning experience with engaging, hands-on, project-based programs. 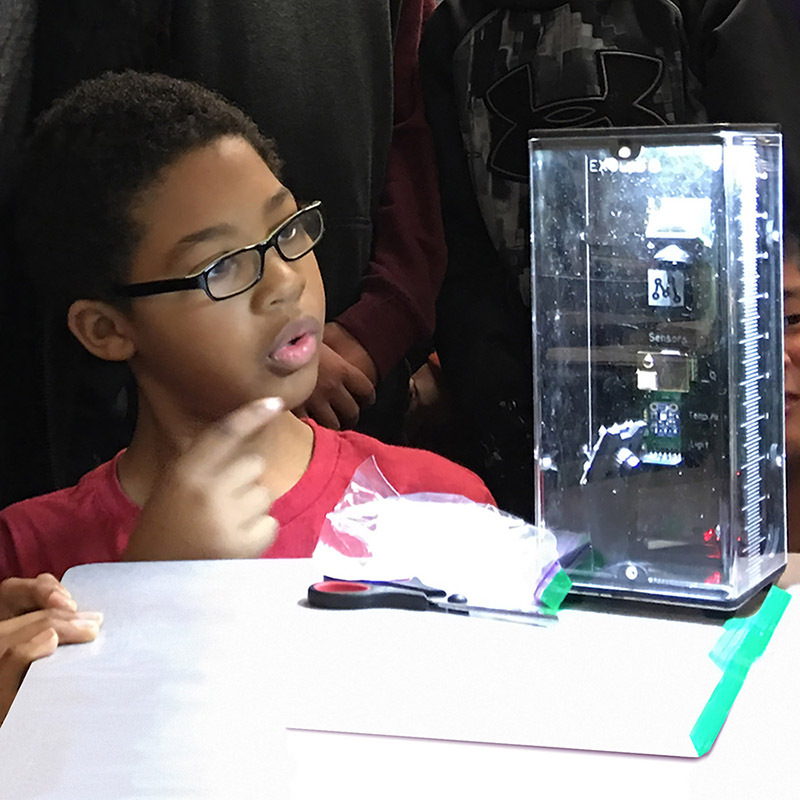 Magnitude.io is committed to 21st-century STEM education, cultivating the next generation of scientists and engineers. Magnitude’s two main programs are CanSat and ExoLab. The CanSat Program is a complete hands-on experience mapped to Common Core and Next Generation Science educational standards. Through the semester-long program, students develop an experiment with a turn-key instrumented CanSat and launch it to more than 8,000 feet. Magnitude’s curriculum comes with lesson plans and student labs in modular format. The curriculum covers learning about instrument sensors such as accelerometers, barometric, humidity, temperature, magnetometer sensors, and GPS. Students learn about mission planning, Data analysis, mission hypothesis, science communication and science writing. ExoLab is a plant biology investigation using a specialized growth chamber similar to mini-laboratories on the International Space Station (ISS). Students grow an Arabidopsis thaliana plant in their classroom ExoLab while following along with a concurrent plant experiment on the ISS. The class receives real-time data from the ISS that students can analyze and compare with their ground-based lab. Students learn basic biology, practice working with datasets, and investigate how gravity affects living things. Standards-aligned curriculum, teacher professional development, and an online Learning Management System are all part of the ExoLab program.